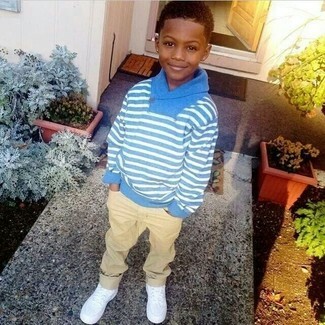 Your child will look extra cute in a black bomber jacket and green jeans. 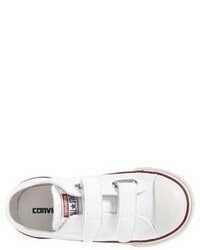 Converse chuck taylor 2v faux leather sneaker from Nordstrom are a savvy choice to finish off this style. Suggest that your munchkin team a grey blazer with navy jeans for a dapper casual get-up. This look is complemented perfectly with Converse chuck taylor 2v faux leather sneaker from Nordstrom. 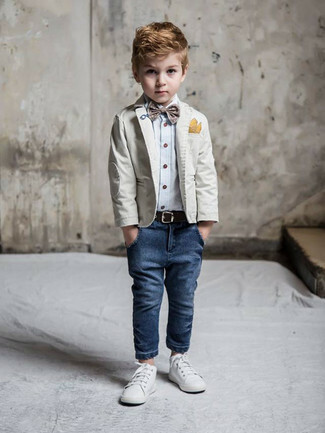 Suggest that your little one opt for a light blue sweater and tan trousers for an easy to wear, everyday look. 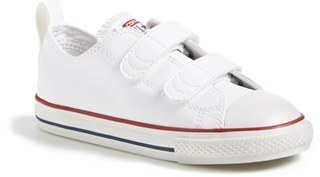 As far as footwear is concerned, suggest that your little one throw in a pair of Converse chuck taylor 2v faux leather sneaker from Nordstrom. 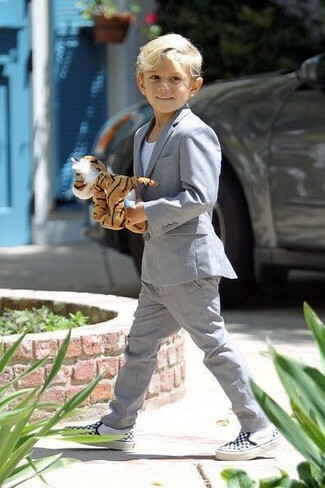 Suggest that your darling reach for a grey blazer and grey trousers and his cute factor will be off the roof. Converse chuck taylor 2v faux leather sneaker are a smart choice to complete this outfit. 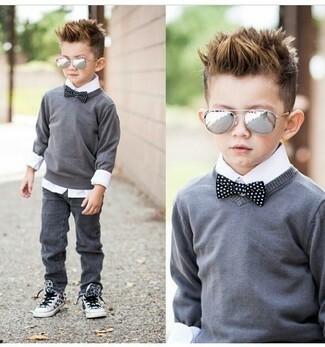 Reach for a grey print sweater and navy jeans for your little angel for a fun day out at the playground. This getup is complemented wonderfully with Converse chuck taylor 2v faux leather sneaker. 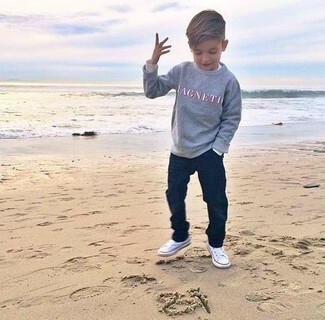 Your little guy will look extra adorable in a grey sweater and grey jeans. Converse chuck taylor 2v faux leather sneaker are a smart choice to round off this outfit. 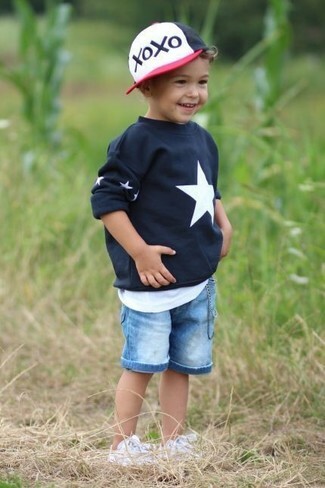 Keep your little one's outfit laid-back in a black star print sweater and light blue denim shorts. 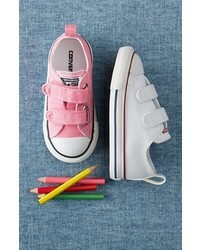 As far as footwear is concerned, suggest that your kid go for a pair of Converse chuck taylor 2v faux leather sneaker. 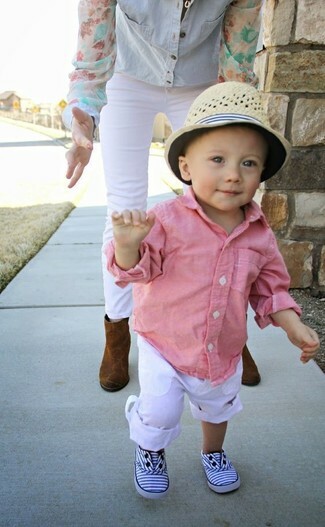 Dress your little man in a pink long sleeve shirt and white trousers and his cute factor will be off the roof. 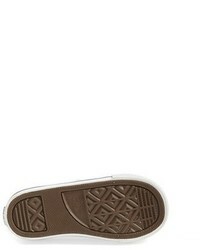 Converse chuck taylor 2v faux leather sneaker are a good choice to round off this outfit. 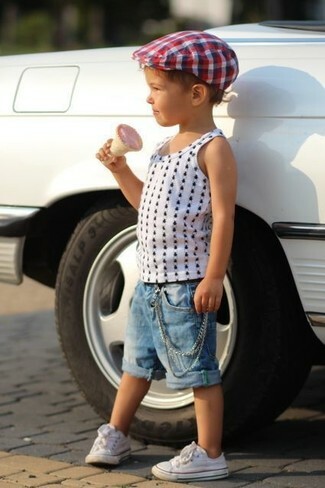 Choose a white polka dot tank top and blue denim shorts for your kid for a comfy outfit. Converse chuck taylor 2v faux leather sneaker are a nice choice to finish off this look.